Proudly non-GMO verified, TABASCO® Habanero Sauce delivers a unique flavor using completely clean ingredients. Add fiery yet fruity flavor to grilled steaks, ribs, chicken or any type of seafood. Impart authentic flavor and heat to your barbecue and wing sauces, or even try it in desserts or mixed with fresh fruits. 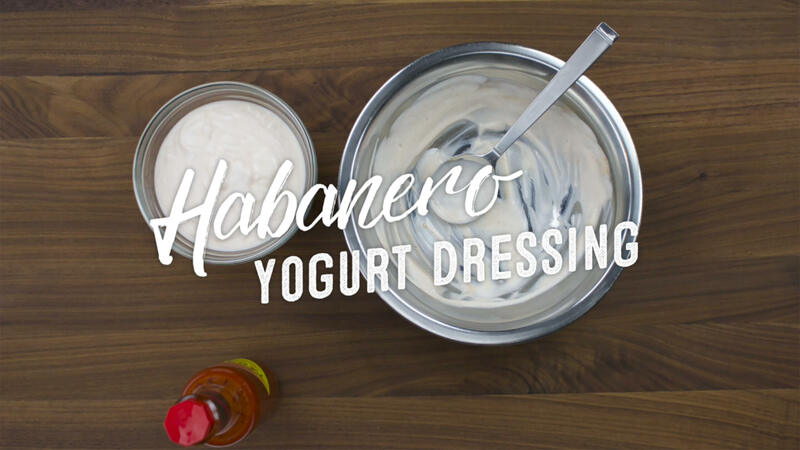 This Habanero Yogurt Dressing will be delicious as a dip for grilled meats, in a pita, alongside roasted vegetables or even as a breakfast dish with granola!